Interesting article, karena di situ kita bisa tahu gimana trik2 mind games Shanks dlm menyemangati skuadnya sekaligus meruntuhkan mental lawan..
Ouch.. yep.. my bad, lupa ngecek2 dulu, ternyata ada thread itu dan post-ku di atas udah pernah dipost juga -_-. # The fee for this article has gone to The Wellspring, a centre for the homeless in Stockport (www.thewellspring.ik.com). Yes, you need luck at times, but I wouldn't put it all down to luck. Rafa is a very hard-working manager who knows a lot about the game. The manager asked me if I wanted to take one of the penalties and I said yes. He then told me to take the first one. I scored and we went on to take the trophy. Sampai hari ini I do believe keputusan Rafa memberikan kesempatan pertama pada Didi untuk melakukan tendangan penalti adalah a very wise decision, melebihi dari kata keputusan yang tepat. Rafa tahu benar ketenangan dan kematangan seorang Didi. Mungkin ...bisa jadi akan lain hasil akhirnya bila tendangan penalti pertama tsb dilakukan pemain lain yang tidak memiliki kematangan dan ketenangan yang sama. Minggu ini .tv merupakan Ian Rush week. Emang cuma satu Ian Rush. 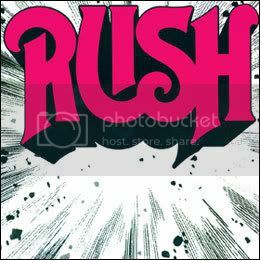 Bahkan si God, Robbie Fowler belum setara dengan Rush setidaknya dalam hal prestasi dan gelar. Oh ya, FYI Ian Rush hari Rabu tgl 14 November 2007 ini bakalan ngadain Meet and Greet di Singapore. Tepatnya di the Foundary Clark Quay Singapore. 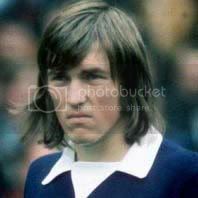 Kalau teman-teman ada yang kebetulan lagi main ke sana (mungkin Sesa ) bisa tuh join dan berkesempatan bertemu muka dengan legenda Liverpool ini. "It's always nice to win cups. But [physically pointing to the English league champions trophy], this is our bread and butter and the one we want the most." 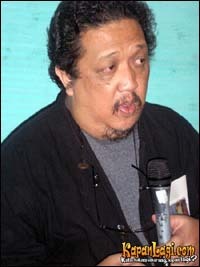 Oh gw pikir Iwan Rush itu berawal dari band fav pada jaman oom Iwan di SMA. Ian Rush. Paling berjasa memperkenalkan gue dengan Sepakbola dan Liverpool waktu masih piyik. Top Legend, Reds through and through! I WASN’T at all surprised to read in the ECHO that Rafa Benitez is keen to keep Javier Mascherano at Anfield. Mascherano is having a really good season in the heart of Liverpool’s midfield and the way he protects the defence and gets stuck in reminds me of Graeme Souness. He doesn’t get forward like Graeme or score the goals that he did, but in a defensive sense Mascherano is similar. Liverpool are well stocked for central midfielders, with Rafa able to call on the services of Steven Gerrard, Xabi Alonso, Momo Sissoko and Lucas. So you would think that, perhaps, he will have to sacrifice one of these if he is to recruit Mascherano on a permanent basis. At the moment, it’s Sissoko who is struggling so he must recapture the form which made him such a big crowd favourite when he first arrived or he might find it difficult to remain at Anfield. Sang legenda berbicara pas mampir di Asia. Ntar malem nih acara di Singapura, siapa tau masih ada pas gathering minggu depan? Jadi bintang tamu kejutan. PLENTY of people have been ready to jump on Rafa Benitez’s back in recent weeks but against Fulham he got everything right and showed a few of his doubters who knows best. Having seen his team hammer Besiktas by that record eight goals in the Champions League he was in a strange way under some pressure. I’m pretty sure if they hadn’t won by such a margin the manager would have changed the side from the one that started against Fulham. But he perhaps felt it had to be a rare case of same again after a scoreline like that. I’m not sure that deep down he really wanted to keep the same side, but in a way he proved a point because one or two people actually did start to tire. But even though they left it late, I always thought Liverpool would win because they were playing at a high tempo. I know some fans were starting to get anxious, but I always felt confident they would get the points. Besides, good sides often leave it late – how many times have we seen Manchester United hit late goals, only for people to say they knew it was coming? Whatever you think of Rafa’s rotations there is no doubt that he invariably knows just how and when to make the right substitutions. Fernando Torres must have been like a coiled spring on the bench after being out for so long and when Benitez released him he came on and made a huge difference. His goal just oozed pure class and Fulham boss Lawrie Sanchez was wrong when he said he thought he might have miss-hit it. Not only did Torres pull the ball out of the air on his chest with sublime skill, he turned and saw Niemi positioned to expect a shot to his right. Torres had a look and very cleverly placed that ball as he did inside the near post, leaving Niemi flat- footed. It was a brilliant goal from a class act. Fortunately, Torres will not be involved in the Spanish squad during this international break and that will be a big relief because it was while training with Spain that he picked up his original injury. Liverpool have missed him badly but now he will have more time to recover. Hopefully, by the time the Premiership games come round again, he’ll be raring and ready to go again. IT was interesting to read Steven Gerrard’s comments about Pepe Reina and see how his statistics more than stand scrutiny against the records of Anfield greats Ray Clemence and Bruce Grobbelaar. I’ve said before how impressed I have been with Reina’s distribution, how he races around to get the ball upfield with terrific accuracy when he can – or if there isn’t an opportunity doesn’t waste possession and hangs on to start play again more routinely. Of course Clemence will always be regarded as the benchmark at Anfield because he kept so many clean sheets – particularly in games where he was a spectator for long periods but would pull off some great saves when suddenly called into action. There is evidence that Reina has just the same mentality and it’s a huge asset to Liverpool right now. Against Besiktas last week the Reds were 7-0 up and one of the Turkish forwards managed to get a diving header in on goal. Pepe was on his toes to make sure it didn’t get past him because he was desperate for that clean sheet. For me, he is definitely Spain’s best goalkeeper and No 1 in the Premier League too. I know Petr Cech at Chelsea is top quality but I do think his form has suffered a bit since his head injury. Edwin van der Saar does let in goals for Manchester United, while Arsenal seem to have two keepers and can’t decide who is their first choice. 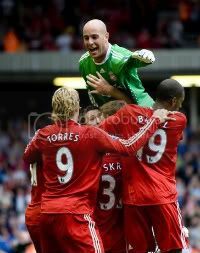 But there’s no doubt at Anfield who is number one and it was great to see Reina running the length of the field to congratulate Torres – or maybe claim that unlikely assist! I’m in no doubt that Pepe’s the best in the business right now whether it comes to stopping shots or using the ball himself. IT WAS shocking to hear of another death in Italian football this weekend with the Lazio supporter shot by a police officer and the abandonment of the Atalanta versus AC Milan match due to shocking crowd violence. If that sort of thing had been going on in England we all know the reaction and the punishments that would follow. There’s been this agenda against English football fans but we’ve come so far dealing with hooliganism and cleaned up that it’s time the authorities looked this way for answers to the problems over there in Italy. It’s vital UEFA, FIFA and the Italian FA react to this now or it’s only going to get even worse. I remember when I left Liverpool and signed for Juventus our team coach being stoned by Genoa fans. It was terrifying - I’d never come across anything like it. The Juventus fans were always brilliant with me but there are big problems out there with the fans of too many Italian clubs and it is high time it was properly tackled. There must be no question of things being brushed under the carpet this time. I WATCHED the Fulham game in Malaysia where I was doing some TV work for ESPN Star Channel, which broadcasts the Premier League games around Asia. The passion for Liverpool in Malaysia itself is absolutely incredible – it appears that around 70 per cent of the population there are Liverpool supporters. It’s just another reminder why Liverpool are now so keen to finally tap into that support base commercially and embrace the Far East as much as possible. It could certainly be lucrative for them. Pepe langsung terbang nih dipuji habis ama si legenda. Suatu saat pepe akan melegenda dg kenangan manis bersama the reds, sy yakin itu. Perekrutan pepe merupakan hasil transfer yg menguntungkan buat liverpool.So...ga salah kl sang legenda memujinya. sebagai pemain legenda, sebagai staff LFC juga legenda, scouser.. komplit! makin komplit kalo emang akhrinya menjadi assisten Rafa akhirnya menjadi kenyataan..
Sammy Lee is set for a return to Liverpool - after being boss Rafa Benitez's VIP guest. The former Bolton manager spent the evening with Benitez at a reserve match and could be offered the chance of a return. Lee was a playing legend for Liverpool and was assistant to Gerard Houllier. If he is made an offer, Bolton won't object as they haven't yet agreed a payoff and he is still on the pay roll. abi2510 wrote: sebagai pemain legenda, sebagai staff LFC juga legenda, scouser.. komplit! Seperti yang udah gw perkirakan sebelumnya , setelah Lee cabut dari Bolton kalo dia bakal jadi asisten Rafa di Anfield dan semoga aja kontraknya cepat terelialisasi sehingga pada waktu tandang ke st james park minggu depan Sammy Lee udah duduk di bench mendampingi tim dan membawa hasil maximal.